Feng shui is key to maintaining a healthy and happy home. The origin of feng shui is rooted in Chinese metaphysics. Following simple feng shui suggestions you can welcome and help circulation more positive energy in your home. Do you know a welcoming entryway ushers peace and prosperity to your life? 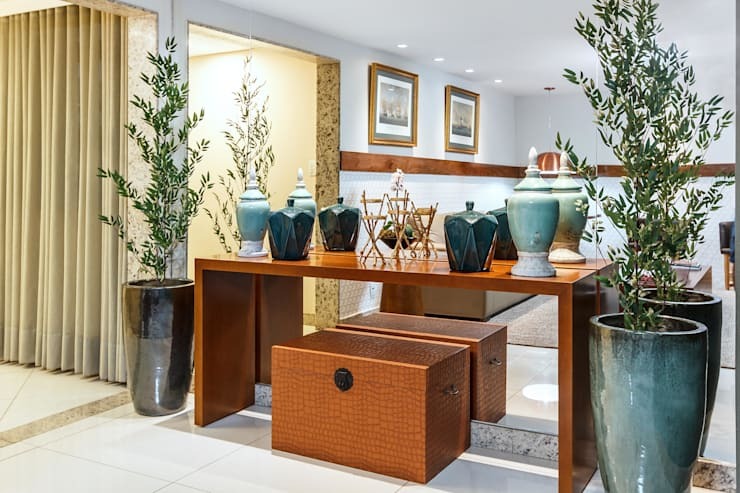 Follow these simple tips to design a feng shui compliant happy home. Feng shui suggests homeowners to put up a mirror on the wall opposite the front door. It helps channelling the ‘qi’ or positive energy throughout the house. 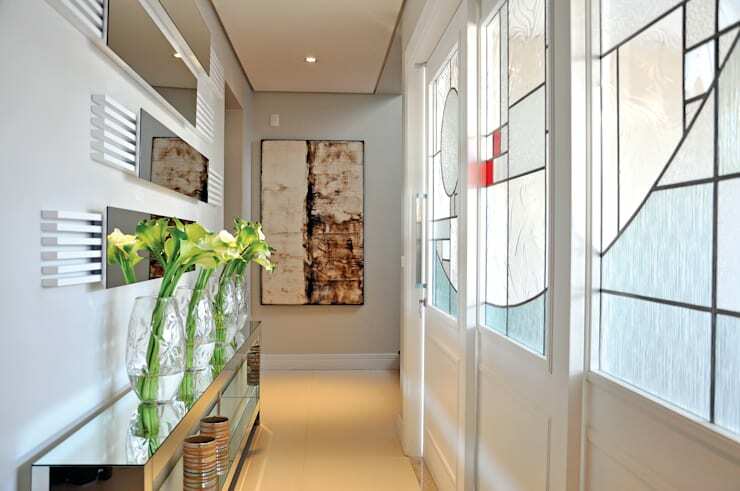 A long hallway can be easily brightened up using mirrors. This is important from the security point of view as well. 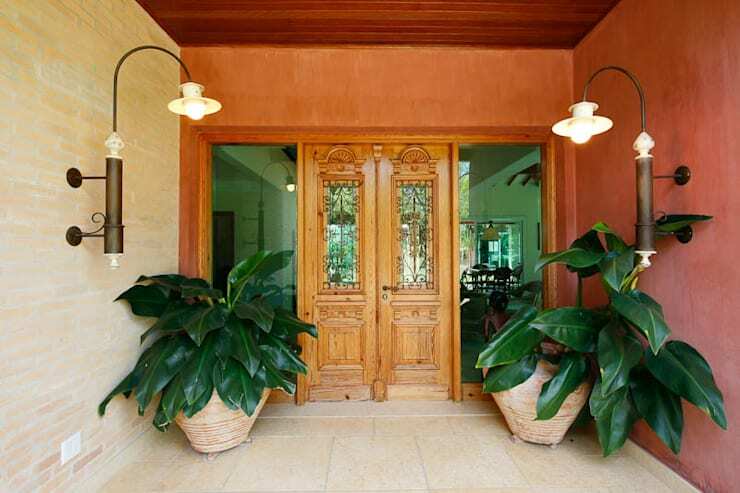 Wooden doors are most common and an elegant choice even for the modern houses. You may also opt for metal or fibreglass exterior doors in your house. Find out more about beautiful front door designs that contribute to the beauty of your house. Make sure that the garden path that leads up to the main door is maintained well. Clean it regularly and prevent accumulation of negative energy in this space. 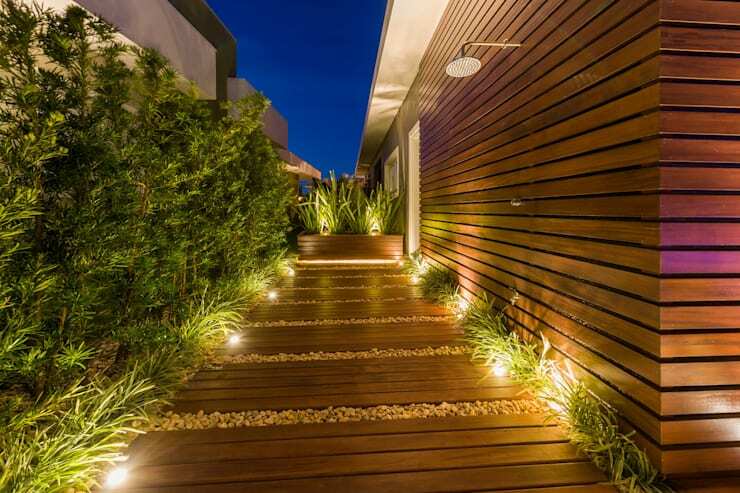 You may design beautiful garden path with the help of brick, ceramic or terracotta tiles, stones, wood and bamboo. A gloomy and dark hallway never gives good impression about a house. It makes one feel insecure and doubtful about one’s environment. Don’t make this mistake. 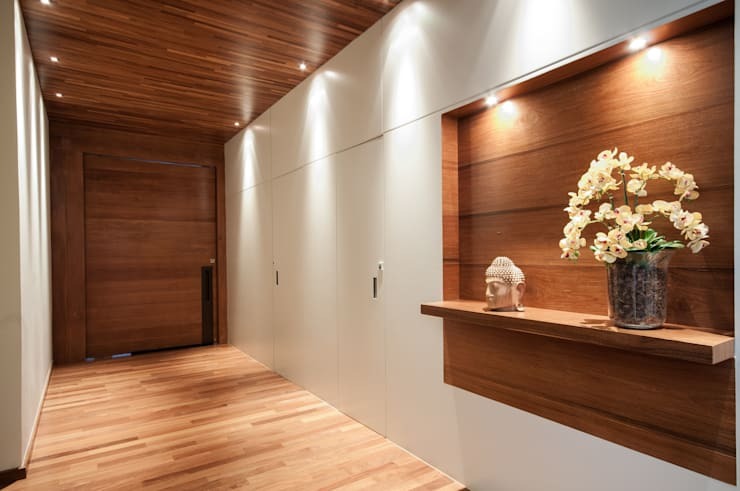 Brighten up the hallway with the help of LED lighting fixtures mounted on the walls and ceiling. This will also enhance the security of your home. 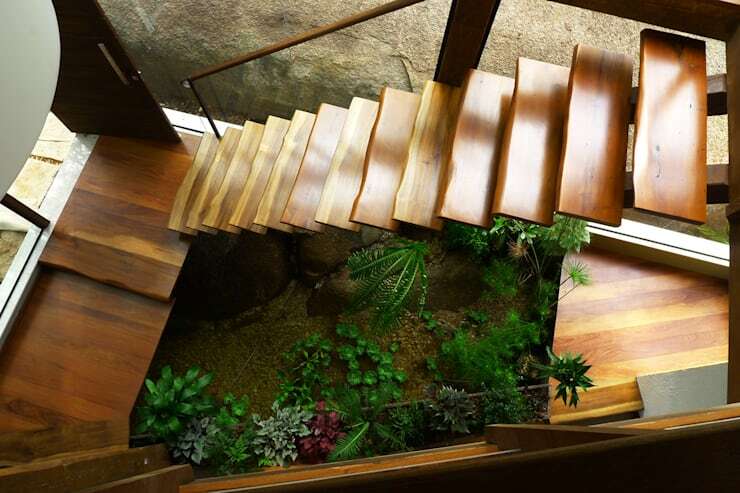 Introduce green plants in this part of the building and increase the charm of the interior atmosphere. 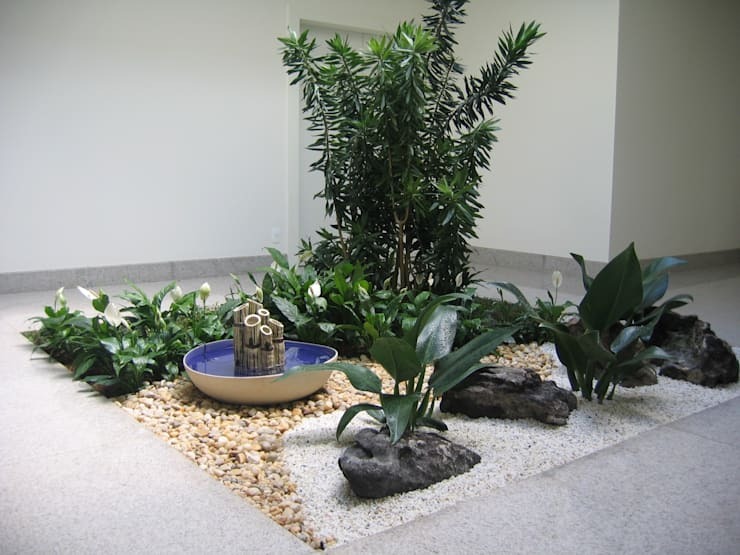 You may build a small Zen garden in this space or choose potted plants like peace lily, tilandisa, palm, rubber plant etc to decorate the hall. The design and décor of a house must contribute to people’s comfort and happiness. Your guests will appreciate a small seating arrangement in your hall and so will you after you come back home from a long walk. Keep the décor simple. 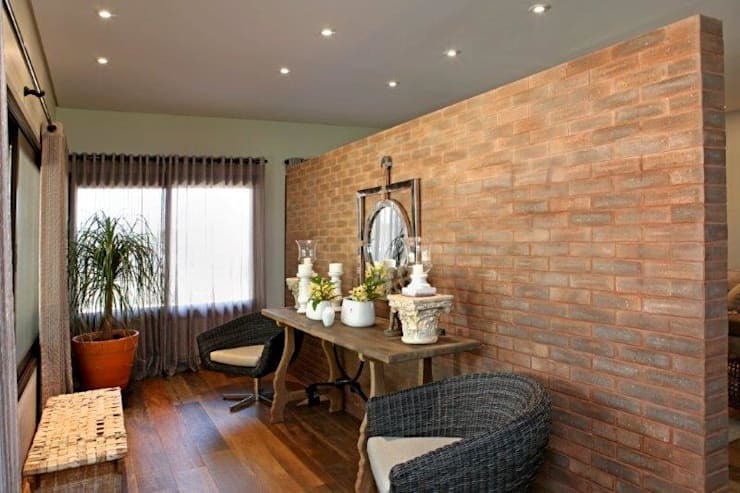 Opt for items like a couple of chair or a small bench and a console table. Keep the hallway scrupulously clean. Use commercial or homemade cleaning solutions to clean up any ugly marks left by dust and grime. Dust off the furniture, mirrors and decorative objects in this space regularly. Spread a runner rug on the floor. It will make the interior look more glamorous, keep the dust off the interior of your home and give comfort to the tired of those who come to visit you. 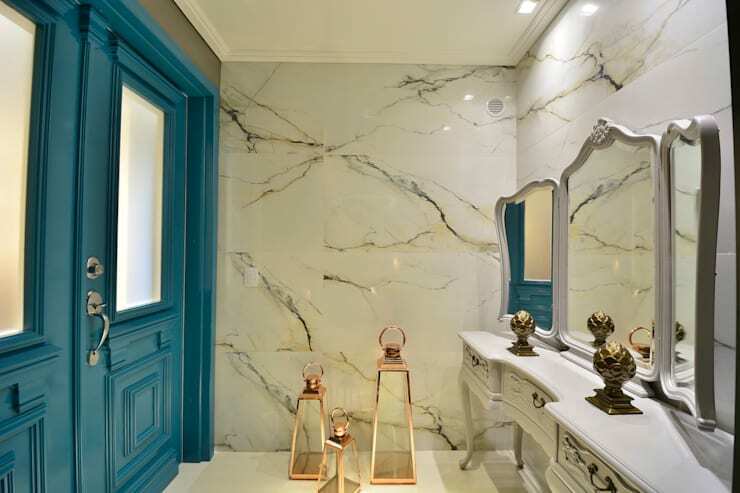 See how the interior designer of this house has managed to create a stunning effect with the help of a handful of objects. 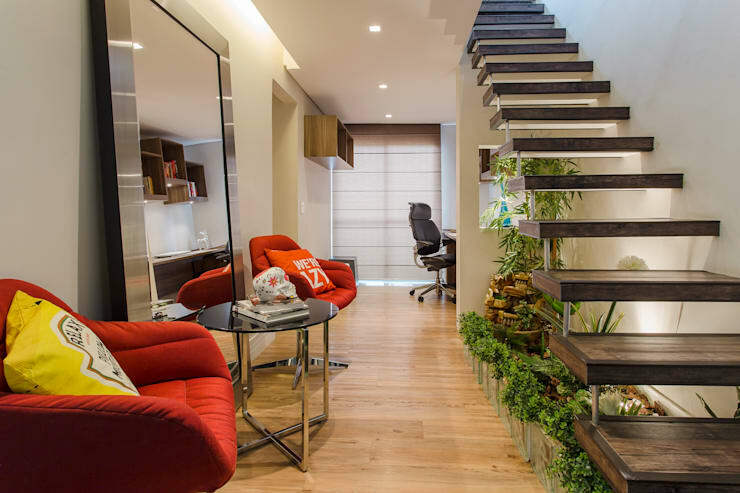 Presence of natural wood in your house brings in growth and vitality in your life. The architect of this house has skilfully integrated solid wood into the scheme of design. Wood flooring looks graceful and warm. The wooden element has been further emphasised with the use of brown colour and green plants. Build enough storage space in the form of mudroom cabinets and storage furniture. 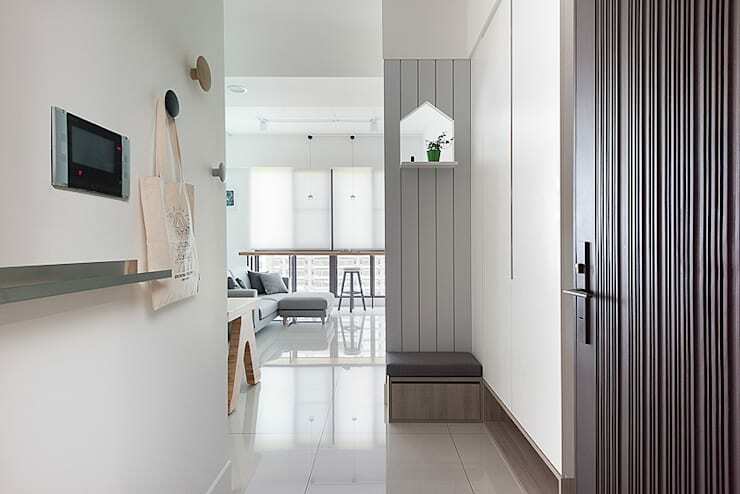 Keep the hallway uncluttered and let positive energy travel freely throughout the house. This also helps you to maintain a clean and organised home. Use positive images and wall décor to spice up the interiors. Feng shui does not recommend the use of images that show angry and attacking animals in the corridors. It disturbs the peaceful atmosphere of the interiors. Images must have a positive and calming effect on the minds of those who visit your house. Install a simple console table in this space. 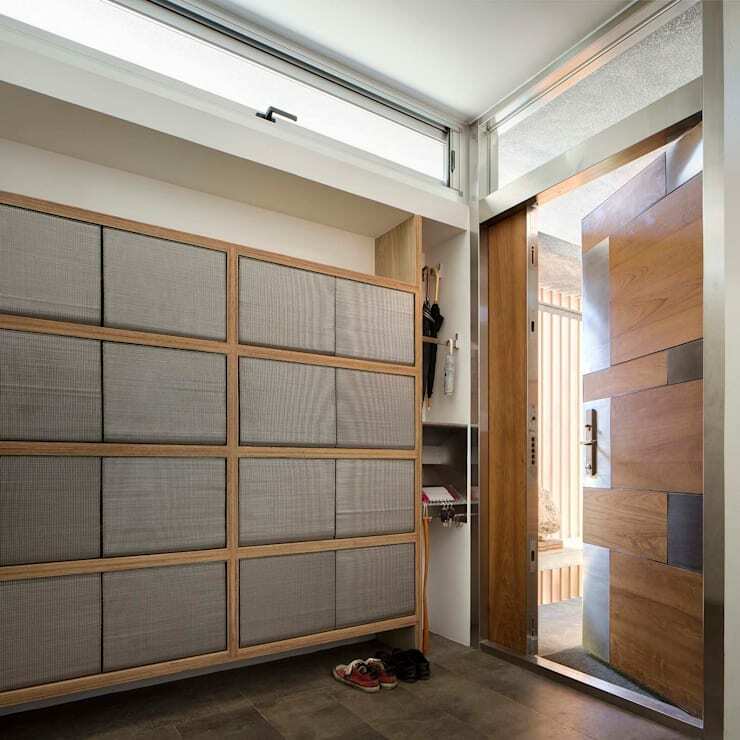 This maximises the storage capacity of the entrance way and makes it look more stylish. Decorate the top of the table with flower vases, potted plants, small figurines, table lamps or candles. Use of the right colour scheme can enhance the happiness and peace of a house. Colours like blue and white signify hope. Green, red and gold tones increase wealth and prosperity. Choose colours that have a positive effect on mind and does not make anyone feel alarmed. 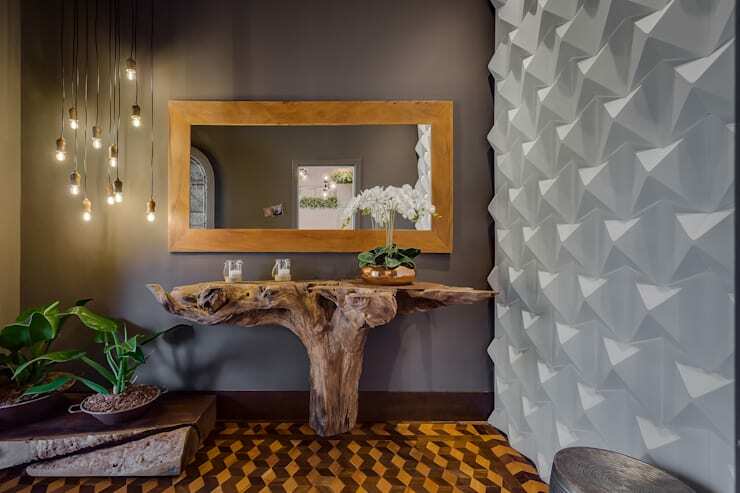 Use materials that are organic and sustainable like wood, stone and bamboo to build the entrance of your home. It makes your living environment healthier and more comfortable. 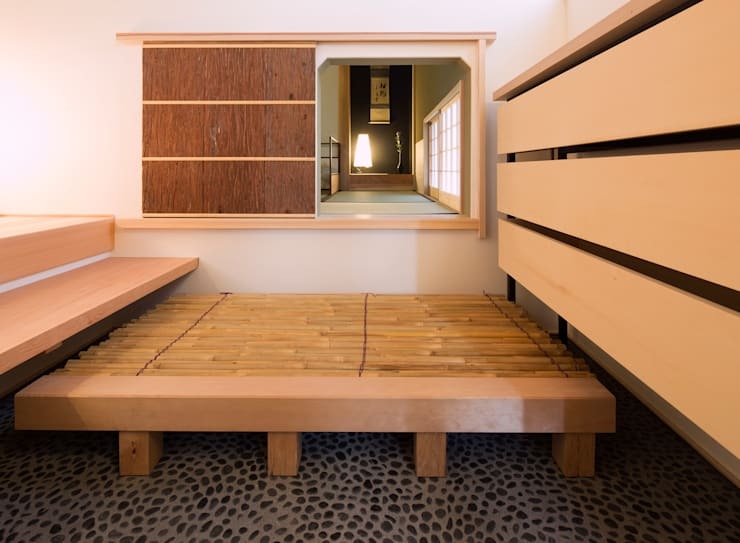 Natural materials positively impact the five feng shui elements, namely, earth, water, fire, metal and wood. Feng shui recommends skilful usage of the water element to enhance wealth and good fortune. You may introduce water element in the form of feng shui fountains, swimming pools and natural ponds. But don’t place fountains under the stairway. It may bring sickness and ill luck to the inhabitants of the house. Place it close to the main door and let the water flow towards the house. 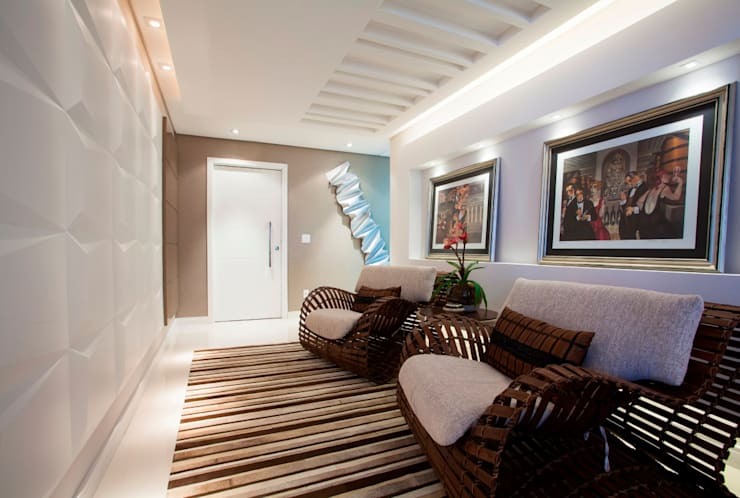 Enjoy decorating your home the feng shui way and make your home a more elegant and welcoming. See these copy-worthy designs for your home. Which hallway design did you find most attractive?